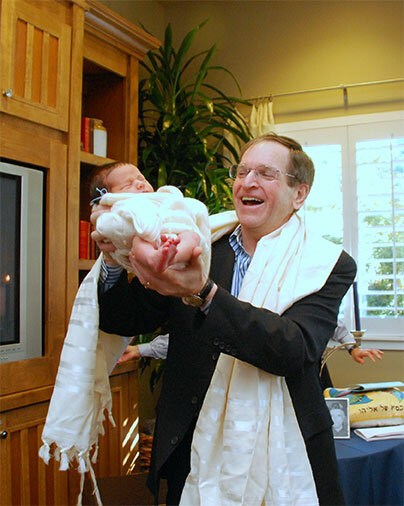 That’s me, welcoming my grandson Gabe to the family! Of all my titles, the best is being “Zaydie Ronnie” to Gabe and his big sister, Ellie Brooklyn. I am also the Fingerhut Professor of Education at American Jewish University and president of the Kripke Institute. 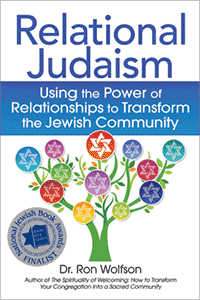 I enjoy visiting synagogues and community organizations as a scholar-in-residence, meeting everyone, and sharing life lessons from my true stories. I love to write; some of my books are Relational Judaism: Using the Power of Relationships to Transform the Jewish Community, The Seven Questions You’re Asked in Heaven: Reviewing and Renewing Your Life on Earth, God’s To-Do List, The Spirituality of Welcoming: How to Transform Your Congregation into a Sacred Community and The Art of Jewish Living series of family guides to spiritual celebration (all Jewish Lights…read all about ’em in the Books menu above.). I grew up in Omaha, Nebraska in a loving Jewish family, I ate too many Jewish foods that begin with the letter “k,” I graduated from Washington University in St. Louis, and now I live in Los Angeles with my fantastic, creative wife, Susie – the Martha Stewart of Jewish Living (see Recipes for Memories here), and I eat frozen yogurt just about every day.